Find Camby, IN New Homes for sale. View Photos, Maps and MLS Data Now! Home offers additional 3 bedrooms, tons of options for the extra space. Low Taxes and Utilities MLS#21635554. F.C. Tucker Company. Spray foam insulation, working together to keep your heating/cooling cost low MLS#21630106. Modern Realty Co.
Beautiful golf course view! Low Taxes and Utilities! MLS#21629407. F.C. Tucker Company. Laundry room doubles as a mud room which is right off the garage. Low Taxes and Utilities! MLS#21625921. F.C. Tucker Company. 2-car garage with extra storage space. MLS#21616230. A G Wheeler Realty, LLC. Master bath with dual sinks, stand up shower, linen closet, and large walk-in closet. 2-car garage with Mud Room. MLS#21616205. A G Wheeler Realty, LLC. Master bath with dual sinks, linen closet, and large walk-in closet. 2-car garage with Mud Room. MLS#21616160. A G Wheeler Realty, LLC. Home offers additional 2 bedrooms, tons of options for the extra space. Low Taxes and Utilities MLS#21615767. F.C. Tucker Company. 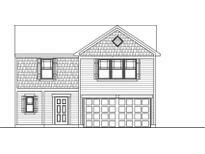 Augusta Woods - Master Suite with walk-in closet, double sinks, tub and separate shower. MLS#21608843. Carpenter, REALTORS®. 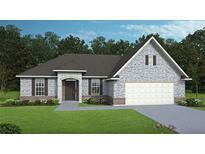 Augusta Woods - Large Master Bedroom and Master Bath with double sinks, walk-in closet and tub and separate shower. MLS#21608842. Carpenter, REALTORS®. 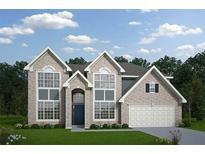 Home offers additional 4 bedrooms, tons of options for the extra space. Low Taxes and Utilities. 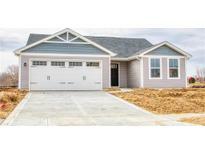 MLS#21595596. F.C. Tucker Company. Home offers additional 3 bedrooms, tons of options for the extra space. Low Taxes and Utilities MLS#21595595. F.C. Tucker Company. Home offers additional 3 bedrooms, tons of options for the extra space. Low Taxes and Utilities MLS#21595592. F.C. Tucker Company. Home offers additional 2 bedrooms, tons of options for the extra space. Low Taxes and Utilities MLS#21595585. F.C. Tucker Company. Laundry room doubles as a mud room which is right off the garage. Low Taxes and Utilities! MLS#21595604. F.C. Tucker Company. 3-car garage with extra storage area. 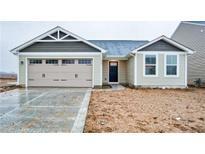 MLS#21593858. A G Wheeler Realty, LLC.